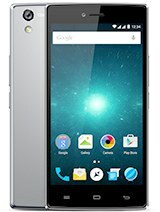 The best phone i ever had for this price. 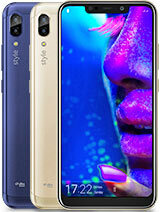 The phone is good with full hd 5.5 screen. But the main drawback is the we can't install much app in the phone. The phone is gives more preference to music & videos. The memory get full within 3_4 app installed. 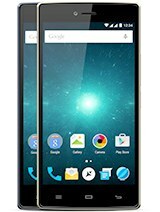 AnonD-440477, 13 Sep 2015my touch scren is broken i cant find a neww touch scren in my cantry, in kosova ,, also i dont... morephone is ok. just as disappointing service sites. you simply jegmanesc. Allview should like to have even cite a service in big cities. You can find 3g / wifi fix patch on their website, I've had the same problem and it worked with the updates. Works very good. And no lag. -wireless screen (for tv) is gorgeous, no lag, i like that. - single speaker but strong. The sound is amazing. 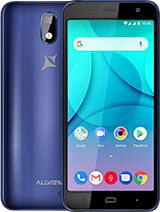 -the battery could be better for a quad core processor and a 5 inches screen but if you decide to buy it i think that you can see that in the speciffication and you have no problem with that. 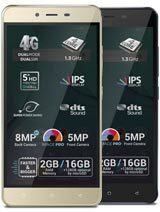 in my opinion this phone has great performance for a low price phone. I don't know why i see so many complains about it having low battery or no card slot. All there are mentioned in the specifications and you can see then before buying it. 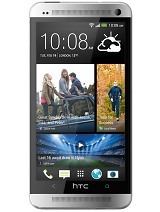 If you don't like that just don't buy it... it's a low cost phone what do you expect to? i saw phones with a grater price and respected company that produce them but with much more defects. max, 27 Jan 2014This is awkward.I thought I would never saw this Romanian company that re-brands Chinese phone... moreOh boy...the phone is made under copyright...or the romanian factory buyed the the pattern and started improving the first phones.they even got envolved in a proces with samsung cause the samsung company suspected that allview stolen some pattern from them. AnonD-330491, 13 Nov 2014In adition to the cons of my previous post that hasen't appeared yet, the smart gesture feautu... moreIndeed, it the smart gesture feature is very hard to use, or to be precise not possible. But it freeze only once, when I tried to use it as GPS navigation, playing music via USB in the car and trying to google something. But other than that, it worked perfect from the first day. I have it for more than 6 months and it's running very good. - 3 hours after I got my hands on it, it freezed after installing 3apps. - the keyboard is impossible to work with... The options of the layout are very limited. - single speaker although it looks like it would have 2. Come on, seriously guys? - after 5 minutes of gameplay I can fry eggs on the CPU!!! - the 32 gigs are actualy 24... WTH is wrong with you people?? - and more importantly and agravateing, there is nothing Romanian about this phone at all. NOTHING!!! Takeing Chinese phones, rebrand them and sell them under the banner "Romanian phones, high specs-low prices"? Well, the price is low I tell ya but the specs are lower. I have this phone for more than a month and I compared it with my previous Galaxy S3 and I have to admit that this X1 is better. Battery life is better, pictures are better, design is better (from my point of view) and there are other things which I really enjoy. THe only thing I don't like is that it came with Android 4.2 and they didn't make an update to 4.4. 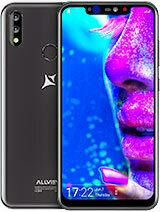 Maybe it's a marketing strategy so people will buy another Allview with 4.4. And you really get a lot from this phone for the money you pay.